The label you choose for your product will be the first thing that customers see and that will ultimately help them decide whether or not to buy your product. This is why the label design process is so crucial. Of course, finding professional label printing services to help you produce high quality labels is one part of the equation. However, the most important factor is really designing labels that customers want to buy. 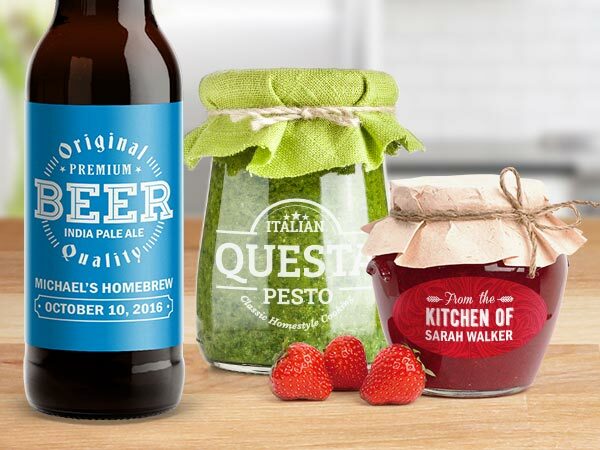 If you are an entrepreneur with an excellent product idea just waiting to hit the shelves, keep reading below to learn valuable label printing and design tips to help your creation have an impact on your target demographic. What Does Your Target Audience Like? Obviously when designing labels, you are going to want to appeal to your customers. This is especially true when marketing a home business. That is why it is so necessary for you to identify the type of products and styles that your target audience enjoys. If you know what your target audience likes, you can deliver that on your label. When printing and designing labels for business, always keep your target audience in mind. This is an especially important point when it comes to selecting the right label printing process. Always keep in mind what product you are designing a label for. It should go without saying that a bottled beverage is going to have different label dimensions and shapes than one for a can. Remember this simple label design tip to ensure that your customized label actually fits the product it is intended for. How Will You Adhere It To Your Product? Another important consideration when deciding how to print labels for your product is how it will be put on. If you are anticipating a small operation out of your home, you will probably be attaching labels by hand. This will require vastly different label printing services than if you plan to use a contract packager. For example, using one of the many a3 printers available may be the simplest and most cost effective solution. Either way, remember to keep in mind how you will be putting labels on product in order to pick the best label printing solution for the job. As with anything else in business, you absolutely must set and stick to a budget. This will dictate the entire process of designing and printing labels. Your budget will impact the amount of color on your labels, the type of material you select and the quality of the final product. Set a project budget before you start to design labels, in order to ensure that the label you design does not hurt your bottom line. Therea are two label printing options in terms of color. CMYK, short for Cyan, Magenta, Yellow and Black, is a coloring process that involves layering shades of these colors to create countless other colors. Pantone label printing, on the other hand, is the only way to get a 100% accurate color reproduction. This is the more expensive procurement option of the two, but it is also the only way to secure an exact color reproduction. If that matters to your brand, it may be worth the splurge. Either way, it is necessary to choose between CMYK and Pantone printing when you are desinging labels. If you are an entrepreneur who is excited to finally start taking steps toward getting your new product on shelves of stores in your area, label printing and design should be of the utmost concern. It is so crucial to wow your customers with your label, especially when you do not have the advantage of brand recognition. Keep these label design tips in mind to help you have a seamless process of label printing when the time comes.